After the array of formal runways which occupied NYFW, John Elliott’s A/W ‘19 show was a refreshing alternative. Teeming with fashion enthusiasts, part of Brooklyn’s Navy Yard was transformed into a nearly bare, damp warehouse - save for scaffolds which mimicked unfinished homes, the show’s thematic centerpieces. In Elliott’s words, “The line is inspired by the inside and outside of a house.” And what better place for his exhibition than an industrial complex noted for manufacturing and construction? Elliott’s models walked in and out of the frames of the unfinished houses, highlighting the elements of construction and developmental process which underscored the collection’s ethos. 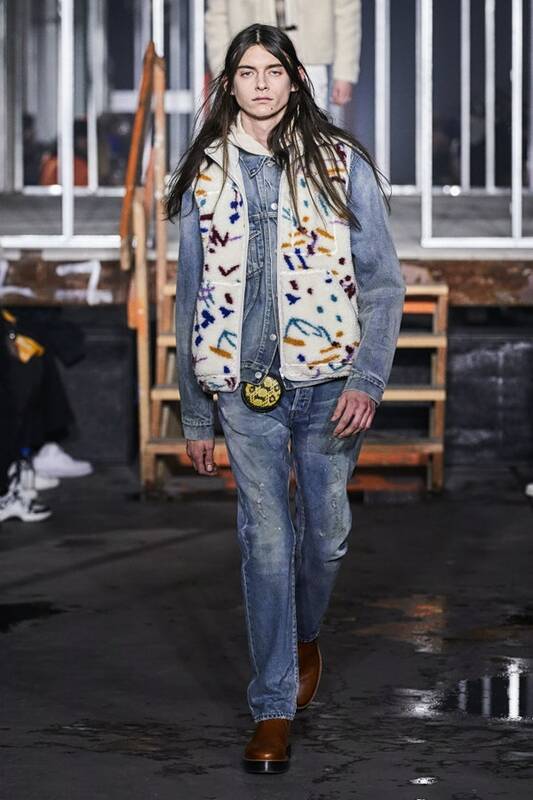 Born from destiny, the collection was inspired by an affiliation Elliot shared with the label’s newly anointed womenswear designer, Cara Campagnoli. Both hailing from San Francisco, they discovered that their grandparents were once acquainted, a serendipitous revelation which added to the harmony of their partnership. The nostalgia this connection engendered directly influenced the line and the show’s attendees were treated to a spectacle of style and experimentation in the exhilaratingly cool method Elliott has nearly patented. 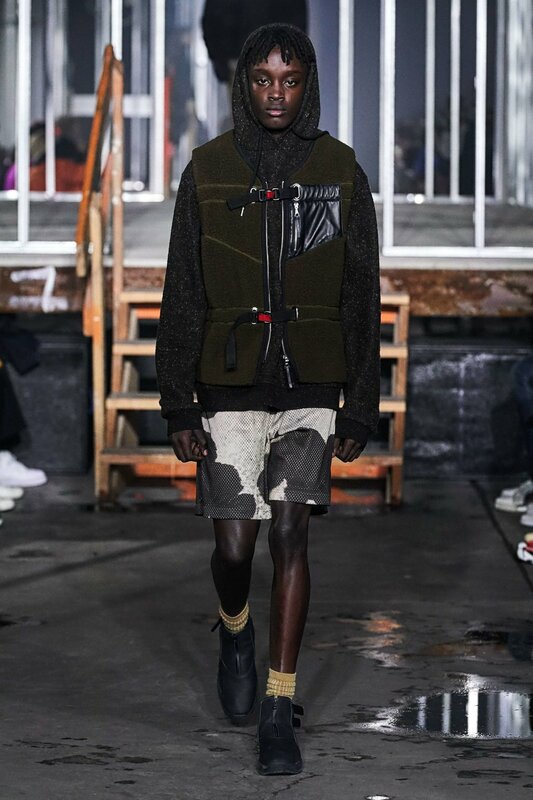 Brooklyn’s Navy Yard epitomized John Elliott’s A/W ‘19 collection. The designer’s stimulus was evident on the runway, as his models paraded through the purposely underdeveloped homes. 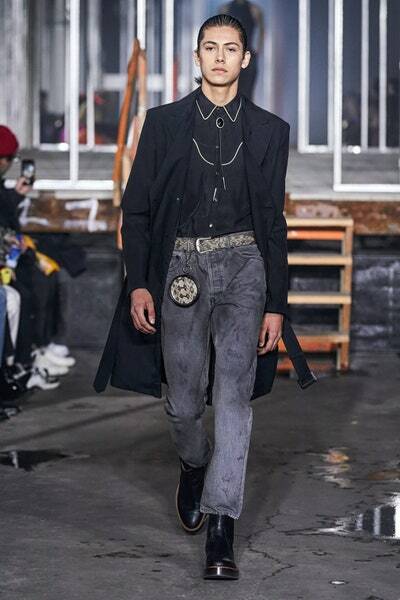 This go-around, Elliott’s typically tonal streetwear was elevated by rich details - take the fleece fashioned after his grandparents’ wallpaper, or the Western-themed ensemble complete with bolo tie and pouch. 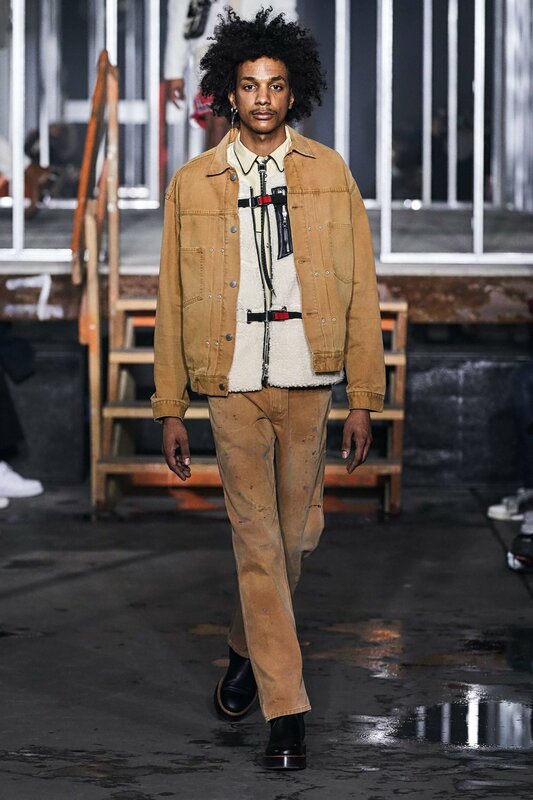 This season also brought the unveiling of the brand’s collaboration with workwear stalwart Caterpillar, as well as partnerships with Blackmeans and Descente which yielded surprising outerwear options. As an aggregate, the collection was another display of John Elliott’s ability to seamlessly blend seemingly abstract concepts with streetwear worthy of any *not too* carefully considered wardrobe. If the opening of his new store on Melrose is any indication of the brand’s trajectory, this author suggests you invest while it’s still under construction.